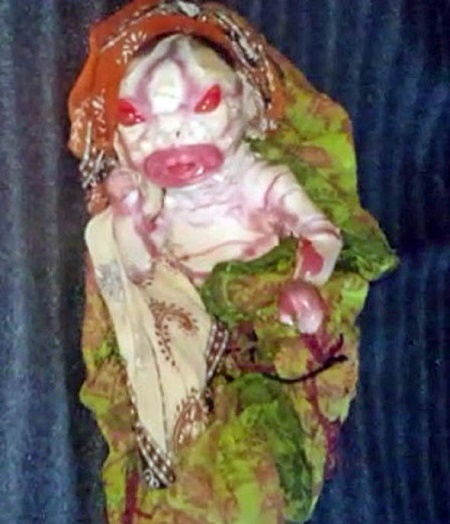 A baby has been born with a strange-looking face which forced the mother to abandon it after delivery. 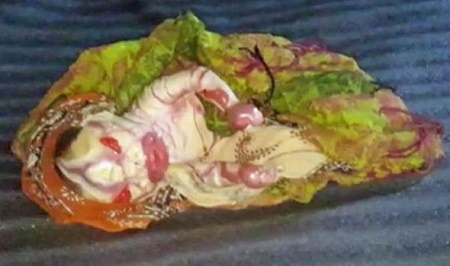 A mother has abandoned her premature baby girl born at an Indian city because she looks like an alien. The 28-year-old woman, who refused to reveal her identity, gave birth to the girl at a government-run hospital in Patna district of Bihar, in eastern India yesterday. The shocked parents called the child a curse and refused to accept her. After she was brought home, the mother refused to hold her in her arms and feed her. Doctors believe that the girl wouldn't survive for long as none of her organs have developed properly and that the probability of survival of such cases is only one in 10 million, according to The Express. The rare genetic condition called Harlequin Ichthyosis happens due to an acute case of malnutrition causing thickening of the skin and facial deformities. Within hours of the news of the bizarre looking girl's birth broke, scores of locals flocked to the hospital to have a glimpse of her. Doctors were forced to intervene to remove the number of people gathered outside the hospital to see the baby.